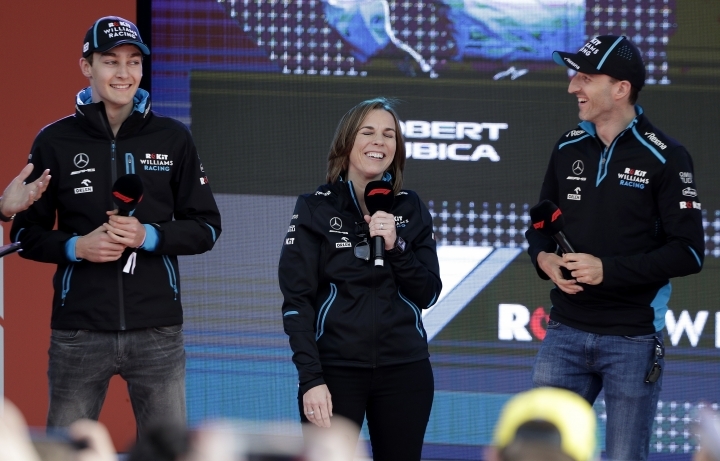 MELBOURNE, Australia — Robert Kubica had just tried to make light of his long and mentally taxing time out of Formula One in his typically self-effacing way when fellow driver Daniel Ricciardo took up the theme. "It's awesome to see him back. It's a testament to his character," Ricciardo told a news conference ahead of the Australian Grand Prix. "I won't ask everyone to applaud ..."
The slight pause prompted a round of applause from a room packed with a usually stony-faced cohort. "It's just ... awesome," Ricciardo continued, either for emphasis or just for a lack of a better word. The 34-year-old Kubica is returning to F1 for the first time since 2010, an enforced absence after a serious rallying accident. The crash, just weeks before the 2011 season, left him needing seven hours of surgery on a partially severed right hand, and months of grueling mental and physical rehabilitation. Williams has modified his car this year to cater for his predominantly left-handed steering. Before his accident, he'd earned 12 podium finishes in F1 — claiming his first pole position and victory in 2008 for Sauber — and was considered one of the sport's purest talents. He was a contemporary of Lewis Hamilton and Sebastian Vettel — a pair who have combined for nine world drivers' titles. Kubica said he never entirely gave up on the idea of returning to F1, but there were plenty of doubts before he finally got a start with Williams for the 2019 season. "It's been a long time away from the sport," he said. "Emotions — to be honest there's not really a lot of time to think about them. You are focused on the job, focused on the things to do. "Try and learn as much as you can about new F1. Things have changed quite a lot since I was racing here last time." 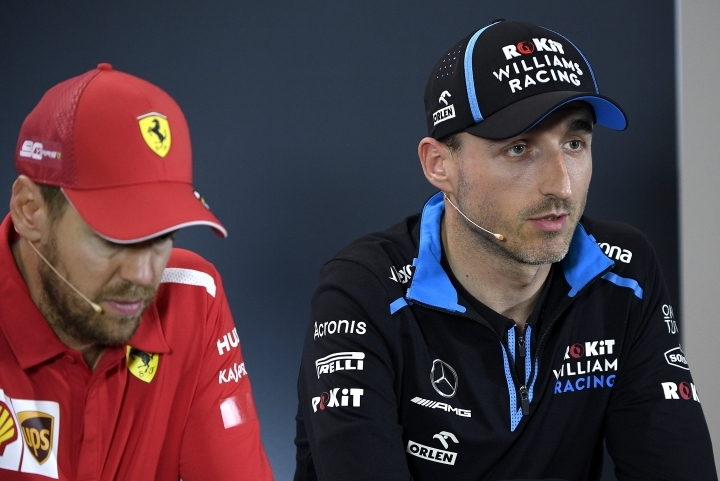 Kubica was on a panel of drivers at a news conference on the eve of Friday's practice sessions for the Australian Grand Prix. The other four — Hamilton, Vettel, Ricciardo and Max Verstappen — had GP wins last season. They were asked what kind of crazy things they'd been up to in the off-season. "I had a bit longer than the others!" the Polish driver chimed in. "Starting working with the team, knowing you'll be a race driver makes a big difference to the past seven winters." It was soon after that when Ricciardo switched gears from talking about sharks and Crocodile Dundee to address the courageous comeback by the man sitting to his left. Kubica, for his part, tried to keep things on track as much as possible. He knows getting the drive is just one of the hurdles he'll encounter this season. 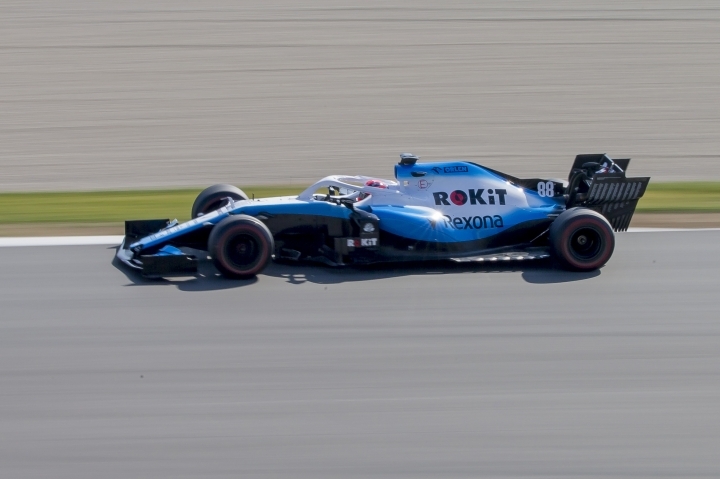 The Williams team, which placed last in the constructors' championship last year, didn't get off to a good start in 2019 after the car arrived late for winter testing. "It's not like you recover this delay in one week, so there are still things being sorted out," he said. "It's a difficult period but we have to make sure we are doing everything we can in the current situation. "We cannot change it, so ... there's no point in wasting energy or time thinking of a difficult job. We have to make sure we maximize our opportunities from what we have." After the physical and emotional pain he's endured in the eight seasons between his F1 races, it's highly unlikely Kubica will be wasting any opportunities after the season starts Sunday.